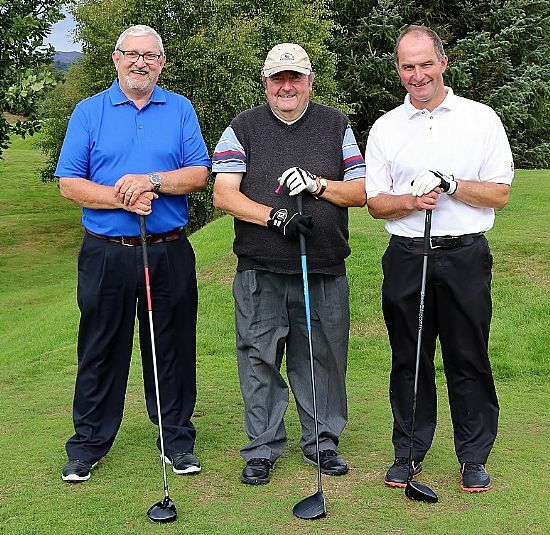 Once again in fine weather The Rotary Club of Perth Kinnoull staged its Annual Golf Charity Day over 18 holes at Dunkeld and Birnam Golf Club which, as usual, was excellently presented by Head Greenkeeper Graham Hutchison and his staff and proved to be a challenging test. 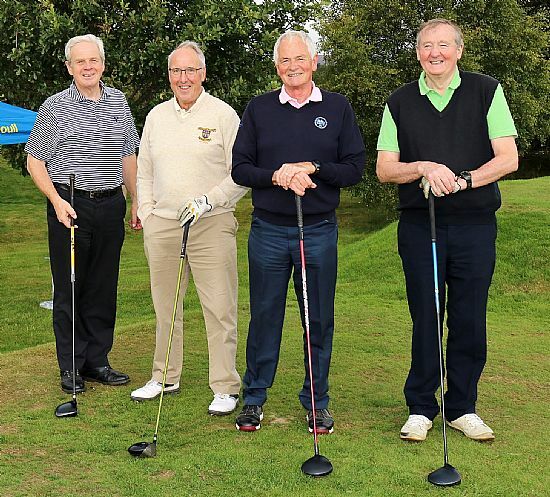 Peter Stewart of Anderson Beaton Lamond landed his ball nearest the white line on the 9th fairway while David Ramsay of Dirk’s Waggers successfully landed his ball nearest the pin on the tricky 18th green. 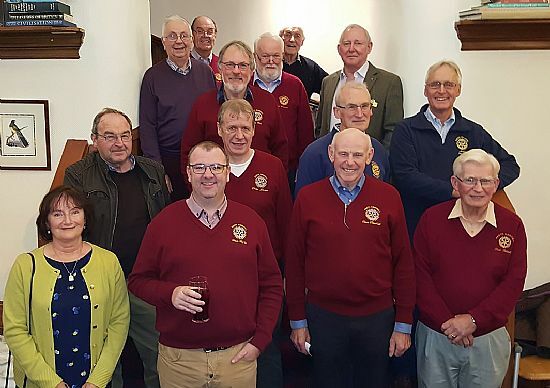 To cap off the day the catering staff at the golf club, led by Lorraine MacDonald, provided a buffet dinner of quality and quantity to satisfy the seventy-two hungry golfers. 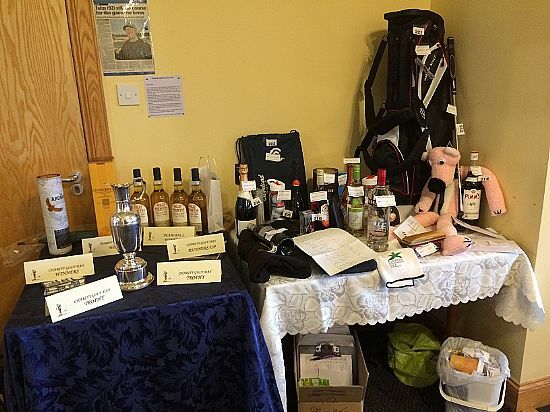 The Rotary Club of Perth Kinnoull wish to thank all those who participated on the day, sponsored holes and or provided prizes for the raffle. And lastly to Dunkeld and Birnam Golf Club for allowing the use of their fine course. Local charities will benefit from the funds raised. Willie Monks in a team called "No Bad Habits". 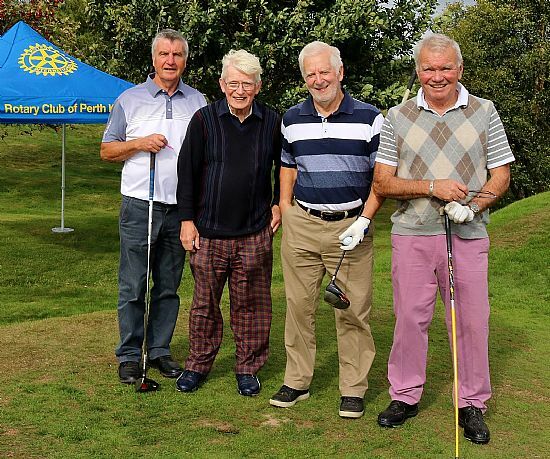 Iain Brown in a team called "The Rejects"
Bob Reid in a team called "Reid's Ramblers"
Bob Riddell in a team called "Murrayshall Muggers"
The President's Putter competition was held this evening and, as usual, the three Perth Rotary Clubs took part at Blairgowrie Golf Club. 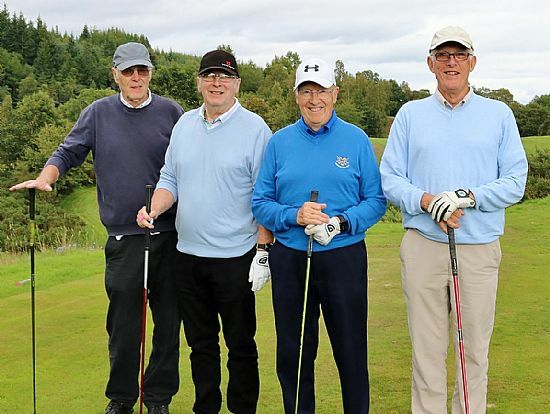 The competition was not to be for our Perth Kinnoull players and our captain Willie Monks. 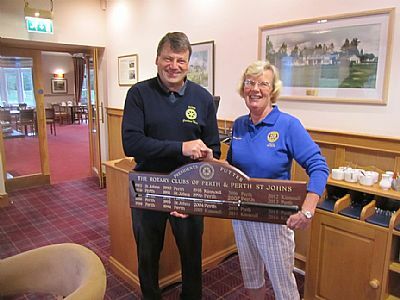 Instead, Graham Thom, on behalf of the Perth Club, handed the trophy to Shona Weir on behalf of Perth St Johns who were this year's winners. 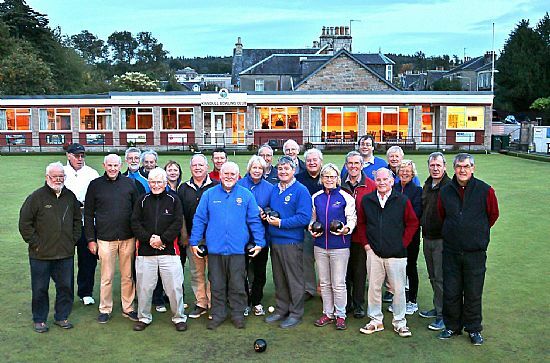 On Wednesday 12th September, Kinnoull Bowling Club kindly allowed the three Rotary Clubs in Perth to vie for the Edinburgh Trophy. Two teams of four “bowlers” represented each club in a Round Robin Format. There were nine games, each of “5 ends”. Two points for a win and one point for a draw. Eighteen points to play for. Perth Kinnoull earned seven points, Perth St Johns six points and Perth five points thereby Perth Kinnoull defended and retained the trophy. 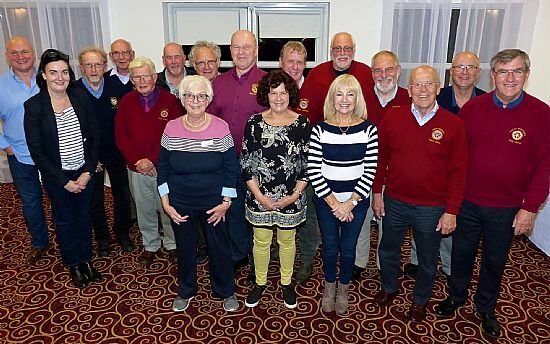 The officials of Kinnoull Bowling Club were thanked for their hospitality and indicated that they would be pleased to host the competition in 2019. Six of us met for bacon rolls on the Wednesday morning. 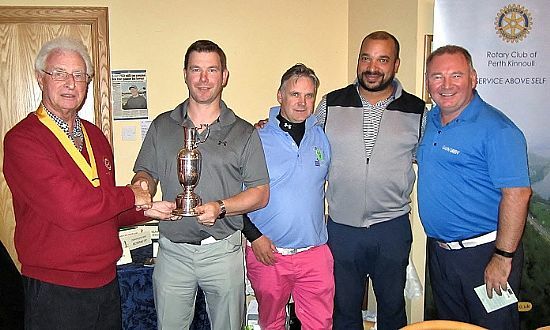 Two novices in Brian Johnston and Kevin Fearn and four so-called experienced shooters in Donal Burke, Douglas Sinclair, his son Andrew and myself. Turns out Brian is a natural in that given a little instruction he was smashing clays wonderfully. Kevin, who was wearing contact lenses, discovered that having a reading lens in your dominant eye is not ideal. He reported seeing two clays at the end of the gun. But having discovered from our instructor which one to pick, managed to burst numerous clays. Both seemed to really enjoy it and intend to return (Kevin with the appropriate lenses). 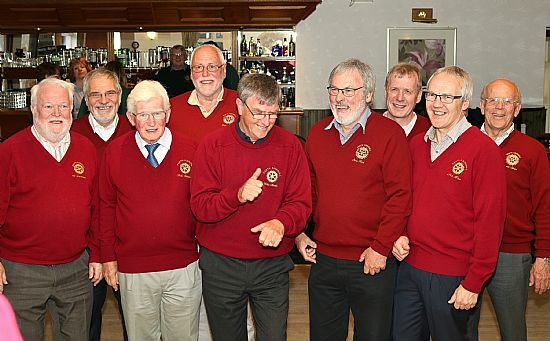 The final of the Gavel Competition was held at the Station Hotel, Stonehaven tonight against the team from Huntly Rotary Club. 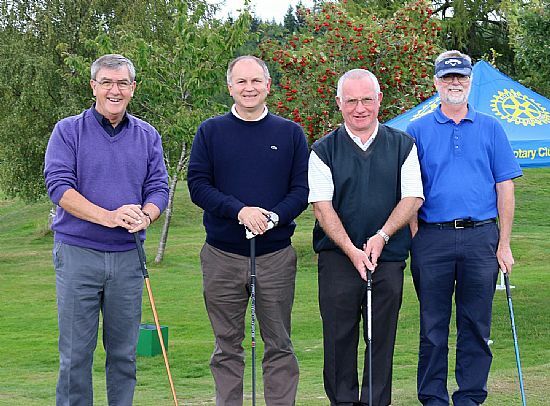 The Perth Kinnoull team played very well from the start and after 3 rounds were so far ahead with a lead of 8½ points to 3½ that it was not necessary to play round 4 as they were unable to be caught. 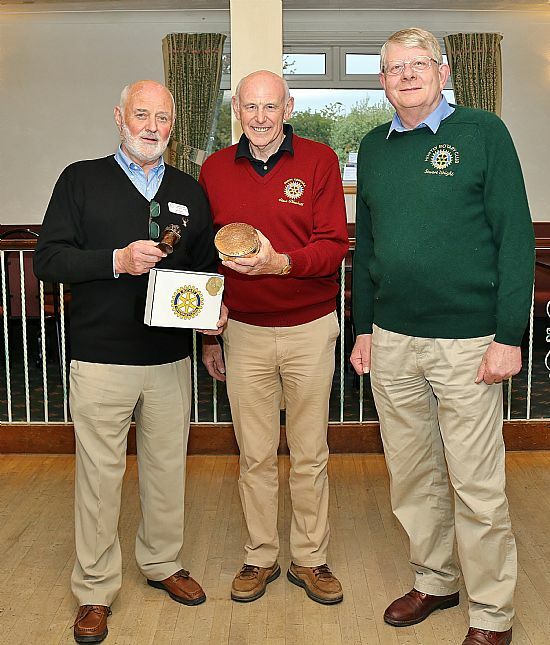 President Steve, accompanied by Huntly President Stuart Wright receives the trophy from Bill Wood (left) who is a past District Governor and member of Aberdeen St. Machar.